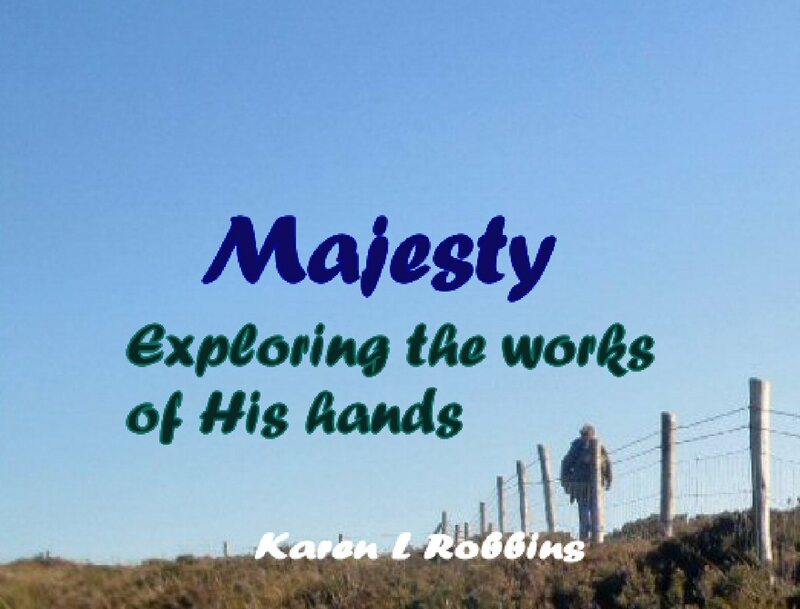 "" Writer's Wanderings: NYC - Broadway! Back in the 70s, sh ortly before kids (I was pregnant), Bob took me with him on a business trip to New York City. 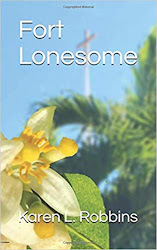 We were living in Maryland at the time so it wasn't a long trip to the Big Apple. I'm not sure it was even called by its nickname back then. Times Square, 42nd Street, and the Broadway theater district were not a desirable pl ace to be after dark. And as for the subway, there was no way I was going down into the underbelly of NYC and ride that thing! Well, it's forty years later and NYC has changed. A lot! Times Square and the theater district is THE place to be--even after dark and while the subway still leaves a lot to be desired, it is a much safer place than it was. On our recent visit, we booked two shows (besides the Rockette Christmas Spectacular). 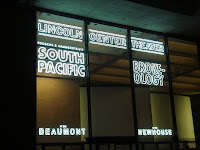 The first, South Pacific, was at the Lincoln Center's Beaumont Theater. 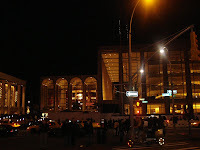 Lincoln Center is a modern elegant setting consisting of several venues. The theater was wonderful and had a large stage that suited all the trimmings that the set designer arranged on stage--including a life-sized plane. The cast was wonderful, the story classic and we enjoyed every minute of i t.
Mary Poppins was our next evening out. It was staged in the New Amsterdam Theater in the theater district near Times Square. 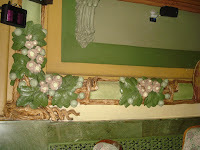 This theater has history. The minute you walk into it you realize it. 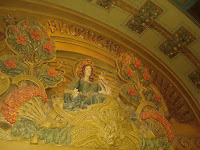 It was completed in 1903 and is full of carved and painted plaster and carved wood details in the ceiling and walls of the lobby and through to the theater itself. Zigfield's Follies were here for a time from 1913-1927 and more recently, Disney debuted The Lion King in 1998. Mary Poppins was quite a production--a little different from the traveling one we saw in Cleveland but every bit as good. And yes, those subwa ys have changed a bit. They are still dirtier and dingier than I'd like but there are many places that have gotten a face lift. 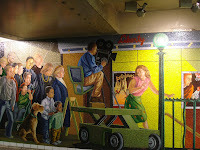 We ran across several mosaic murals like this one and lots of musicians--some very good who were adding a bit of holiday cheer to the hustle and bustle. Subway rides are $2.25 a ride but you can transfer from one line to another to get to your destination. Metro cards have replaced tokens and you will need a credit card for some of the machines--cash for others. You can choose from several different amounts to put on the card and add to it when needed. It's very simple. Allow yourself some time to enjoy the experience. Love New York like no other city! It was such a blast to see all five boroughs as I ran the 1995 NY Marathon. Big Apple, I love you!!!!!! !